GOES-S satellite launch, 2018. 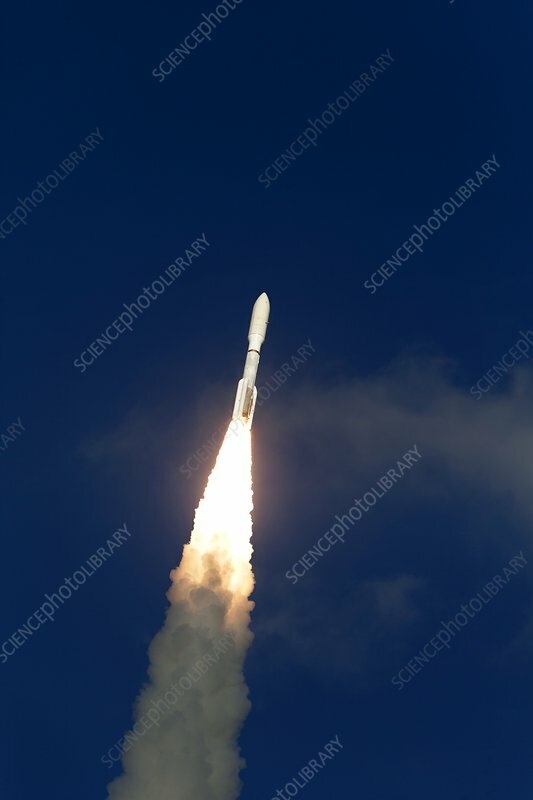 United Launch Alliance Atlas V rocket lifting off from Space Launch Complex 41 at Cape Canaveral Air Force Station, Florida, USA, carrying the NOAA Geostationary Operational Environmental Satellite (GOES-S) into orbit. Lift-off was at 17:02 local time. GOES-S is the second satellite in a series of next-generation weather satellites, orbiting above the USA. Photographed on 1 March 2018.